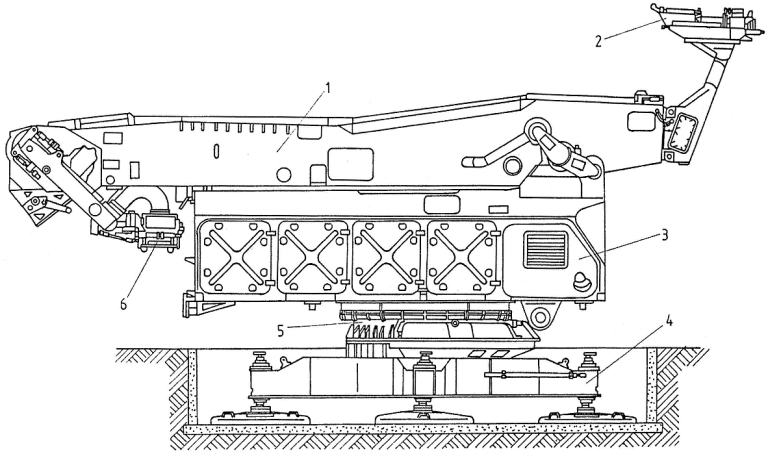 The 5V21/5V28 SA-5A/B/C Gammon missile is deployed on the semimobile 5P72 series launcher. The weapon is typically deployed at static semi-hardened SAM sites (via Vestnik PVO). 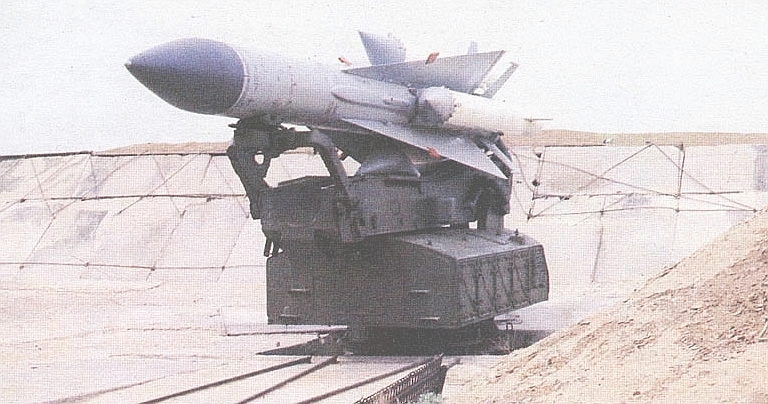 The 160 nautical mile range class Almaz S-200 missile system is the largest and longest ranging Surface to Air Missile developed and operationally deployed by the Warsaw Pact nations during the Cold War. While it has been completely replaced by the S-300P series in Russian service, and retired without replacement by most of the Eastern European nations which deployed it, it remains widely used by various former Soviet republics, and notably is the highest performing SAM operated by both Iran and North Korea. As this weapon remains effective against undefended Intelligence Surveillance Reconnaissance (ISR) platforms, aerial refuelling tankers, and Electronic Attack platforms, it remains strategically significant. With technology insertion upgrades on offer it may remain in service well past 2020. The S-200 was the pinnacle of second generation Soviet SAM designs. It was the last PVO SAM to use a liquid propellant sustainer powerplant with solid rocket boosters, and also the last PVO SAM designed around a static missile site deployment model. It was the first PVO SAM to introduce a semi-active homing seeker to replace the pure command link guidance scheme in the S-25 / SA-1 Guild, S-75 / SA-2 Guideline and S-125 / SA-3 Goa. The S-200 was also by far the most complex of the second generation of Soviet SAMs, much of that sophistication determined by its challenging performance and capability requirements. Almost 11 metres in length and weighing around 8 tonnes at launch, the S-200's 5V21/5V28 SAM round was immense by any measure. This, and the use of difficult to handle hypergolic fuels, restricted the weapon to static deployment at hardened or semi-hardened sites. The supporting systems for the S-200 make it by far the most complex of the Cold War SAMs, both in technological terms, and in battery structural terms. 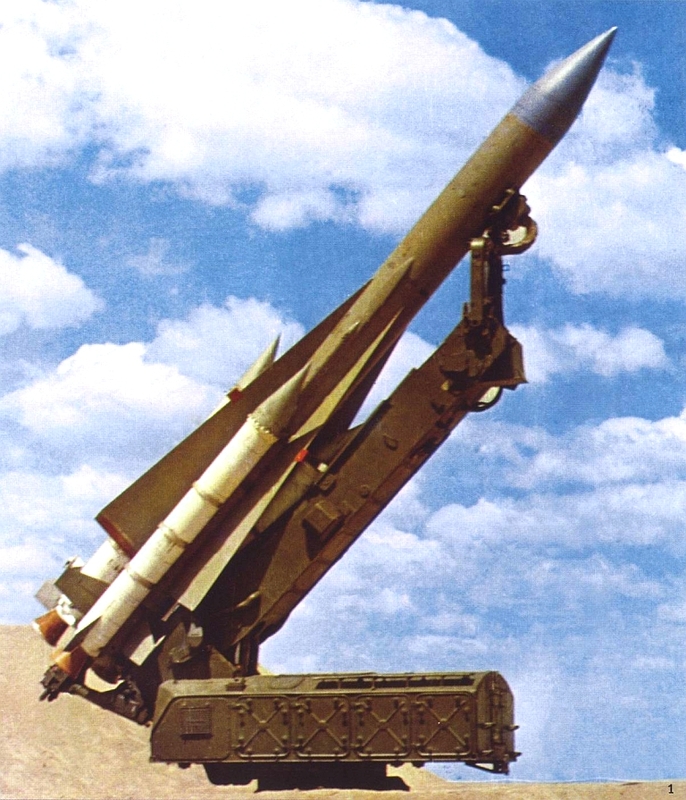 The primary motive behind the large intellectual and material investment made by the Soviets in developing and deploying the S-200 was the defeat of US Air Force and RAF strategic bombers and the supersonic AGM-28 Hound Dog and Avro Blue Steel nuclear armed cruise missiles they deployed. Superlative range was essential to kill the bomber before it could release its supersonic cruise missile, and high kinematic performance a requirement to defeat the then anticipated US Air Force fleet of supersonic B-58 and B-70 bombers. An initial requirement was issued in 1958, leading to a complex development and demonstration effort to identify the best design choices. 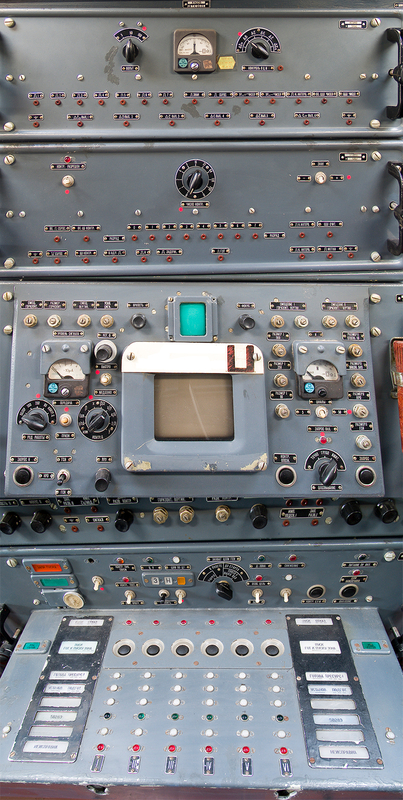 The challenging operational and performance requirements forced the use of many items of then advanced and immature technology, including early digital computers and continuous wave (CW) semi-active homing radar seeker technology. The use of CW illumination for terminal homing complicated the design considerably, requiring a more complex antenna and feed arrangement for the 5N62 Square Pair engagement and fire control radar developed for the system. The radio proximity fuse was also semiactive, relying on CW illumination of the target. The missile carried a downlink transmitter to send status information to the engagement radar. The critical design choice of four solid rocket strap-on boosters for launch was the result of extensive tradeoff studies emphasising deployability, a stacked arrangement was rejected due to the increased length of the semi-trailers used to transport the weapons. While a design wholly powered by solid rocket motors was explored, immaturity of propellants resulted in the design following the scheme in the earlier and smaller S-75 / SA-2 with a variable thrust liquid propellant sustainer (cruise) engine. Extensive tradeoff studies were performed to optimise the airframe and sustainer engine designs for the diverse needs imposed by possible distant subsonic bomber targets, or much nearer high flying supersonic bomber targets. Another major design challenge arose from the almost three minute flight duration at maximum range, resulting in significant skin heating at hypersonic cruise speeds, and rendering earlier techniques for powering internal electronic systems, hydraulics and turbopumps non viable. 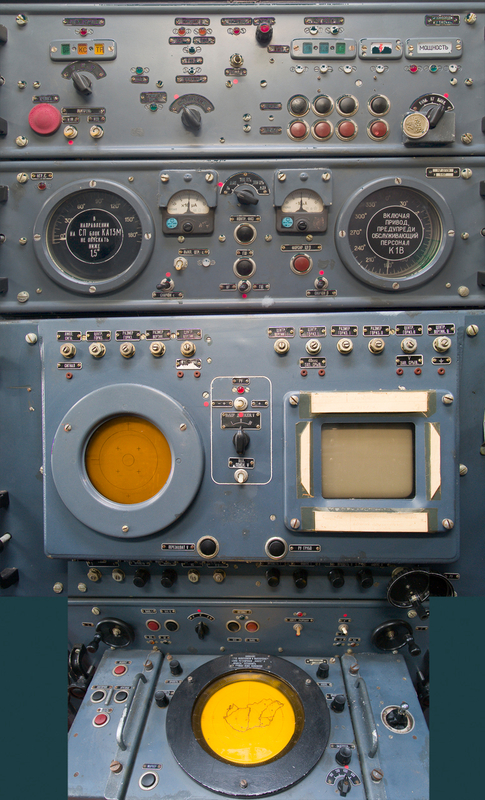 Immaturity of basic technology and sheer complexity resulted in a protracted development cycle, with the first production Angara systems only achieving IOC with PVO units in 1967. Curiously, the Soviets did not publicly disclose the existence of this weapon until 1983. Deployment of the S-200 to PVO units continued until the 1990s. In 1970s the Soviets had 1100 launchers (~180 batteries), with numbers peaking in 1985 with 2030 launchers (~338 batteries). The weapon was exported to most Warsaw Pact nations, and select client states including Libya, who made futile attempts to use the weapon against US Navy aircraft in the Gulf of Sidra. 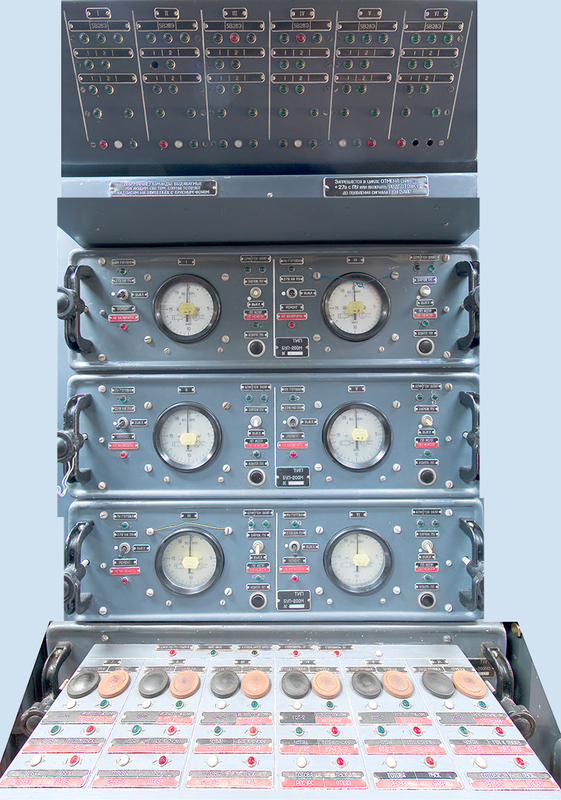 The 5N62 Square Pair is the engagement radar for the S-200 / SA-5 Gammon SAM system series. It is a coherent FMCW design with a capability to autonomously search small volumes, track targets and provide illumination for the 5V21 and 5V28 missile seekers. 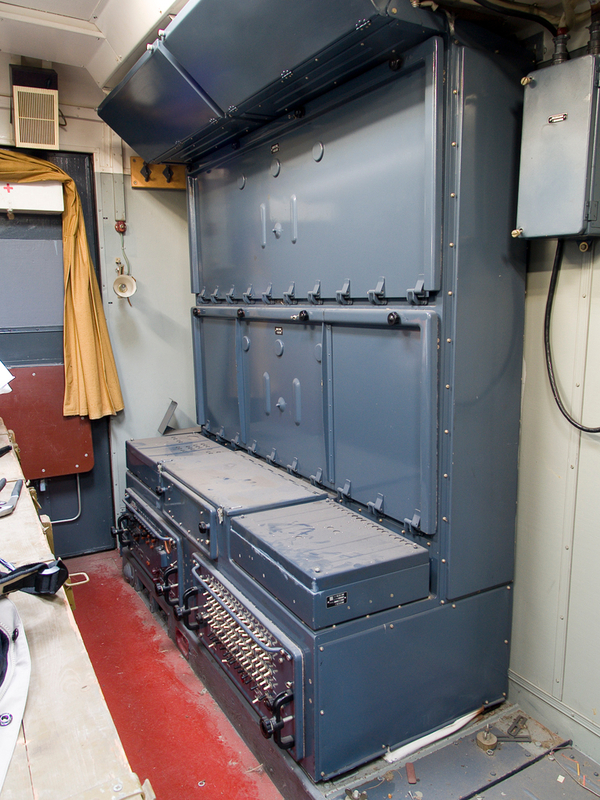 The K-1/K-1V/M Transmitter/Receiver Cabin houses the radiofrequency hardware and mounted the 5N62 antenna head. The K-2 Fire Control Centre van houses the operator consoles and supporting electronics. 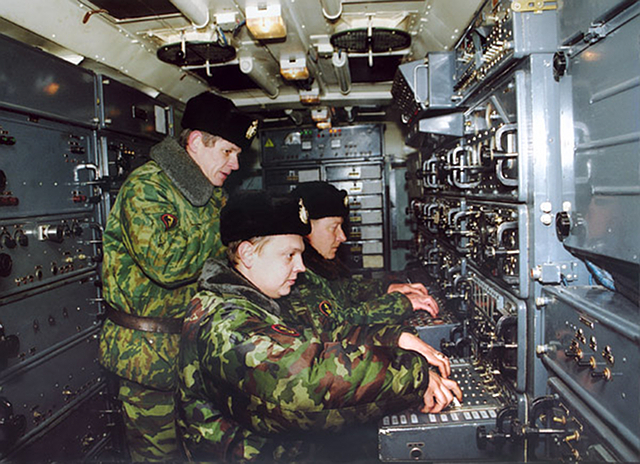 The K-3 Launch Control Centre van is used to control and sequence the individual 5P72 launchers with the 5V72 missile rounds. 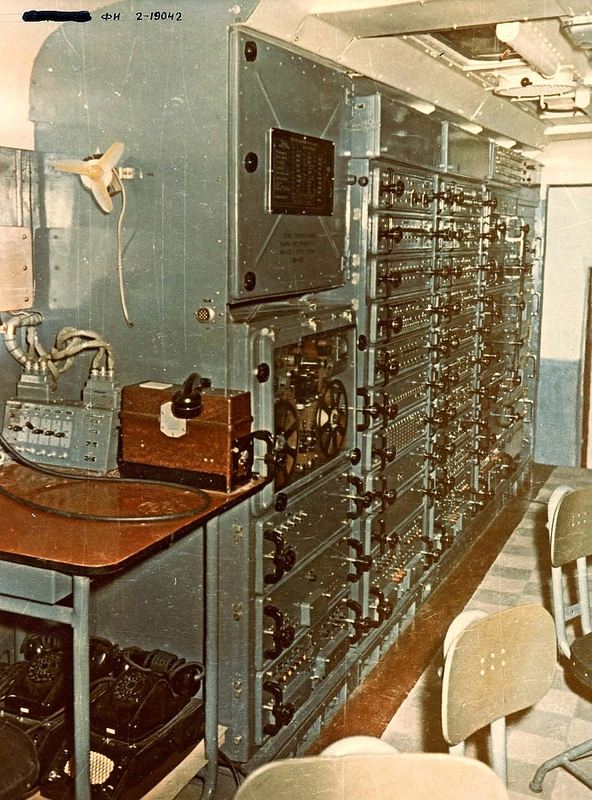 The K-9 Battery Command Post van is used to integrate track data provided by the acquisition radars, such as the P-14 Tall King or P-35/37 Bar Lock, and supporting heightfinders such as the PRV-17 Side Net / Odd Pair, and an IFF interrogator such as the 1L22 Parol. The basic airframe configuration of the V-860/880 missile round most closely resembles the much later US Navy AIM-54 Phoenix AAM, reflecting very similar flight profiles and kinematic requirements. Large and highly swept cruciform delta wings are employed for best lift/drag during cruise, and cruciform tandem control surface are used to effect pitch, roll and yaw control. The missile's cylindrical fuselage is divided into seven compartments, using a very modular internal layout. The 5G22 (5G23 and 5G24 in later variants) coherent FMCW semi-active homing superhet radar seeker is mounted in the nose. A concave gimballed reflector antenna is used, with a waveguide feed, and rate gyros are attached to the antenna to facilitate stabilisation. 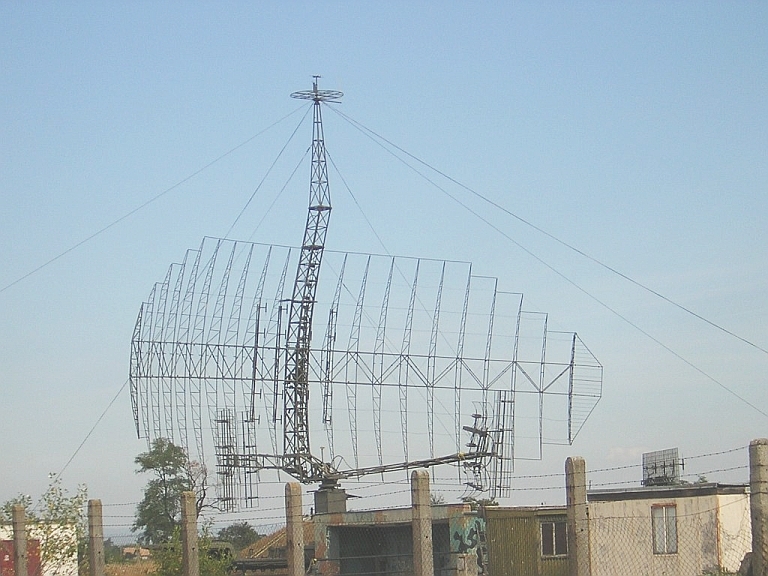 The antenna is unusual in that the feeds for dual plane monopulse operation are mounted on a dividing plate, with the concave reflector split into a pair of semicircular reflectors. A tail mounted aft looking antenna is used to sample the illumination from the 5N62 Square Pair radar and produce a phase locked coherent reference signal (not unlike the AIM-54A) for detection of the backscatter off the target. The seeker is tuned to the illuminator carrier and then locked on to the target while still on the launch rail (LOBL). This limitation also applies to the fully passive Home-On-Jam mode intended for the engagement of standoff jamming aircraft, and available in the later seeker variants. 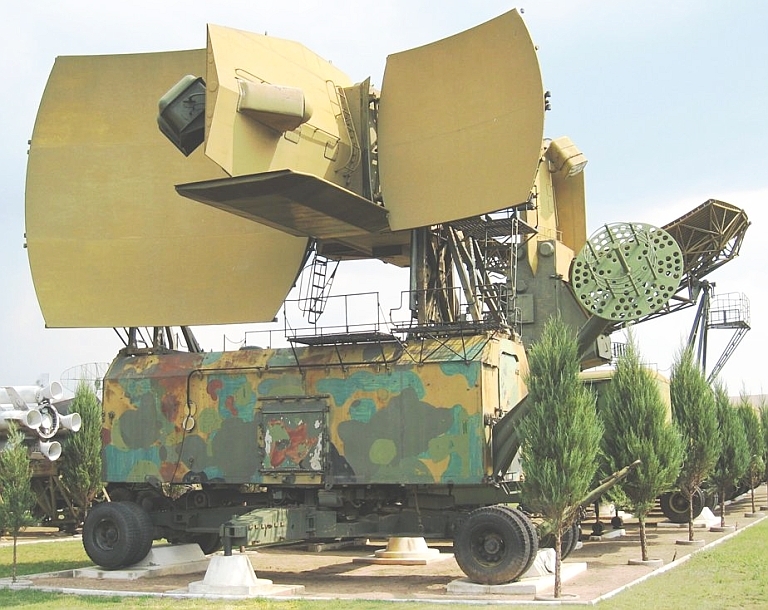 The choice of a FMCW operating regime was driven by the effectiveness of Western electronic countermeasures against earlier pulsed mode radars. Frequency modulated continuous wave signals are inherently more resistant to narrowband amplitude modulation jamming and AGWN like barrage jamming. The 5A43 inertial autopilot used a three axis accelerometer/gyro package and was an important advance in Soviet missile design. It is employed to fly the missile along a programmed flight profile without the characteristic energy wasting deviations typical of the earlier S-75 and S-125 designs. The 5E24 two channel radio proximity fuse is a semi-active design, which relies upon the illumination backscattered from the target, triggering at a programmed distance. Killing power was provided by the large 5B14Sh 217 kg blast fragmentation warhead, which produce ~37,000 spherical fragments in a 120° toroidal pattern, with a fragment mass of either 3.5 or 2 grams, and velocities between 1,000 - 1,700 m/s. To preclude an armed missile impacting on the surface in the event of a target near miss, the weapon also includes the 5B73 self destruct mechanism. 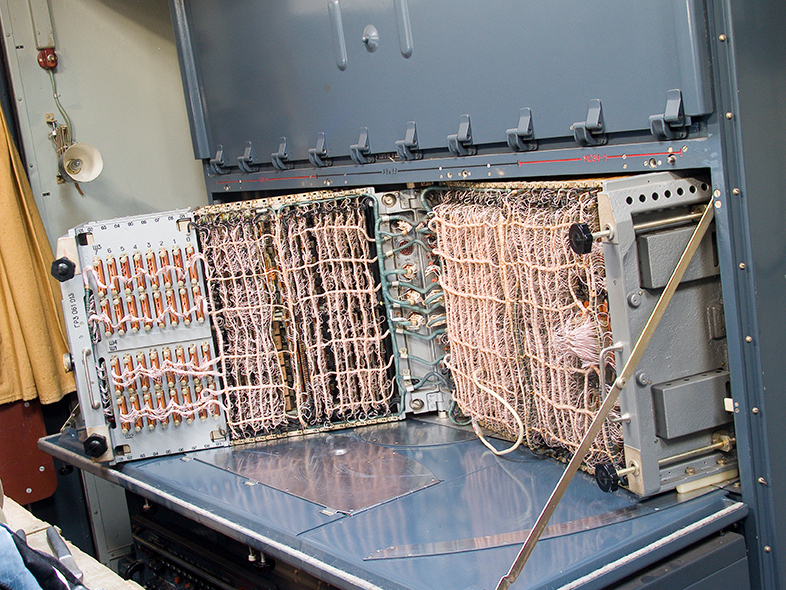 The 5E23 computer was another innovation, it was introduced to calculate key parameters for use by the autopilot. The missile is equipped with a telemetry downlink used to communicate missile systems status to the launching battery, the transmitter doubling up as a tracking beacon for the Square Pair. Some sources also credit this channel with an uplink capability, specifically intended to initiate the warhead in nuclear armed variants, and to arm the radio proximity fuse and initiate the self destruct. The 5I43 (later 5I47) 65 SHP turbine onboard power supply provides power for the vacuum tube based (in early variants) electronics, control actuator hydraulics, and to drive the powerplant turbopumps (NB the term APU cannot be applied, even if its design resembles a modern APU, since the 5I43/5I47 is sole power supply in the vehicle). This complex high density design is modelled on the arrangement in the Scud ballistic missile, where main propellants are tapped to drive a gas generator, which drives a turbine coupled to the propellant pumps for the main engine. Unlike a ballistic missile, where control power is irrelevant once the main engine has ceased its burn, a SAM requires power to its systems until impact. As a result the 5I43 uses its own isolated fuel system, but burning the same fuel type as the cruise engine. The turbine in the 5I43 is spun up prelaunch by a one shot gas cartridge, upon which the hypergolic fuel is introduced into the gas generator and used to drive the turbine. In turn the turbine transfers torque to the main fuel pumps, a hydraulic pump, and a pair of electrical generators, with additional electrical transformers embedded in the unit. At launch the start and stable operation of the 5I43 is a precondition for main engine ignition, and subsequent solid booster initiation. If the turbine power supply fails to start, the missile launch is immediately aborted. The turbine power supply is the cause of the characteristic perpendicular smoke plume sometimes observed in footage of S-200 missile launches. The PRD-81/5S25/5S28 solid propellant boosters were initially tested using RST-43 and RSNDI-59 propellant, production units then using RAM-10K filler. After the 3-5 sec burn duration these strap-on solids are jettisoned. Separation is facilitated by shaping to exploit aerodynamic forces. The sustainer powerplant is an Isayev 5D12 single chamber design, replaced in later models by the improved 5D67. The design is not restartable in flight, but can be throttled from 3,200 kp to 10,000 kp, to optimise thrust across the flight profile, using pre-programmed settings issued by the mission computer. This capability is used to permit optimised profiles, trading range against climb rate and altitude. The powerplant is fuelled with the widely used, and toxic/corrosive, AK-27P oxidiser melange in a 1680 kg tank, and TG-02 fuel in a 586 kg tank. All propellants tanks are pressurised by a compressed air tank. The missile is prior to launch fed with electrical power and cooling air from the launcher. Once Built In Test (BIT) has completed, the seeker is tuned, and steered to acquire the target. Once target lock is achieved, the turbine power supply is started, and once stable the weapon transitions to internal power, and the sustainer engine is started. Only then are the solid boosters initiated and the missile can depart the launch rail. Initial 0.45 - 0.85 seconds of flight are unguided, upon which the autopilot is engaged and the controls go active. Russian sources do not describe the altitude profiles of the missile trajectory, but do state that during the first 30 seconds of flight the autopilot employs a constant lead angle control law, after which it transitions to a conventional P-nav algorithm. Operator training guide manuals translated from Russian and distributed to Warsaw Pact allies state that two primary flight regimes are employed, one for “close” and the other for “distant” targets, the transition being at slant ranges of 70 ~ 80 km (38 - 43 NMI). 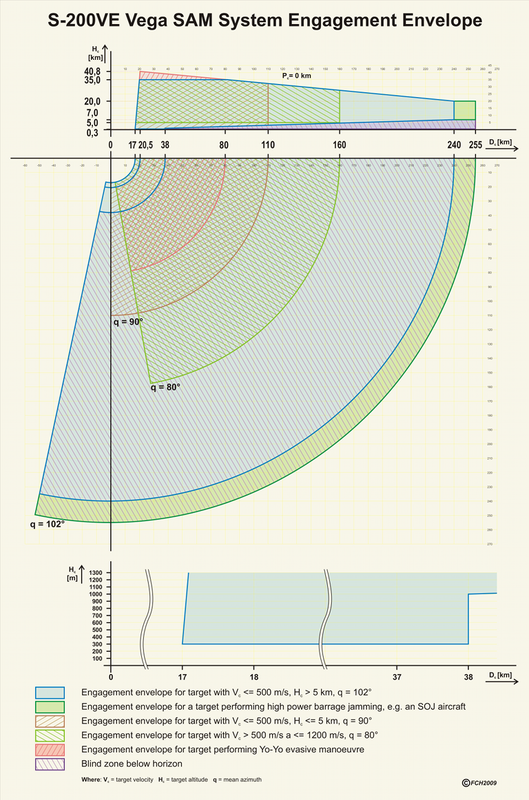 If a target is designated to be “close”, and with either tflight< 60 [sec] and H ≤ 20,000 [m] (shallow trajectory) or tflight< 70 [sec] and H > 20,000 [m] (steep trajectory), then a conventional P-nav control law is employed for the whole duration of the flight. If a target is designated to be “distant”, and with either tflight≥ 60 [sec] and H ≤ 20,000 [m] (shallow trajectory) or tflight≥ 70 [sec] and H > 20,000 [m] (steep trajectory), then the missile flies with two discrete control laws applied, one for midcourse flight, the other for terminal homing. The midcourse flight regime control law is a constant lead angle (ε=35º; β=0º or 15º) rule, with the missile switching over to the P-nav control law for terminal homing. This strategy was adopted to maximise range against distant targets, as the P-nav algorithm can be wasteful of kinetic and potential energy. Highly detailed Soviet era Fakel cutaway of the 5V28VE missile, marked “Sov. Secret” (Restored version via www.S-200.de - click diagram to expand). The S-200 was manufactured in a range of variants until the 1990s. 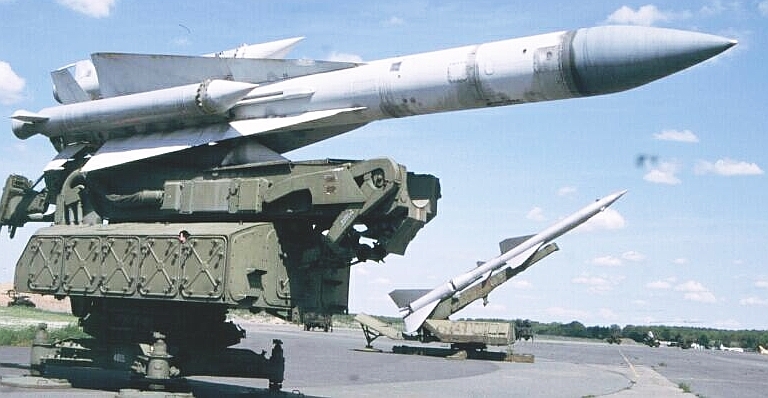 The initial variant swas the S-200 and slightly improved S-200A Angara. These were followed by a series of variously improved variants for PVO units and export, designated the Vega and Dubna. The S-200VE Vega / SA-5B was the most widely exported variant and the configuration supplied to Warsaw Pact allies. 3 5G24 seeker + 5E50 fuse; V-880N nuclear armed variant for PVO. 4 Export variant with English language documentation. 6 Increased Square Pair Pout; 5P72D Launcher; limited number produced for Soviet then Russian PVO. With the retirement of the S-200 from front line Russian service (with what appear to be only two remaining sites active in Russia) and most former Warpac nations' service, this system has been exported more widely. Iran is currently the single largest operator, with 6 to 7 active sites, and unknown quantities of reloads, launchers, and Square Pair systems. Also interactive map at http://rammstein.dfmk.hu/~s200/. A digital upgrade to the S-200 system was being offered by Tetraedr using technology developed for S-125 / SA-3 Goa upgrades. The S-300PMU2 Favorit and S-400 systems are capable of controlling the 5N62 Square Pair, using the 30N6E2 or 92N6E to perform target tracking. More detailed discussion under Legacy Air Defence System Upgrades. 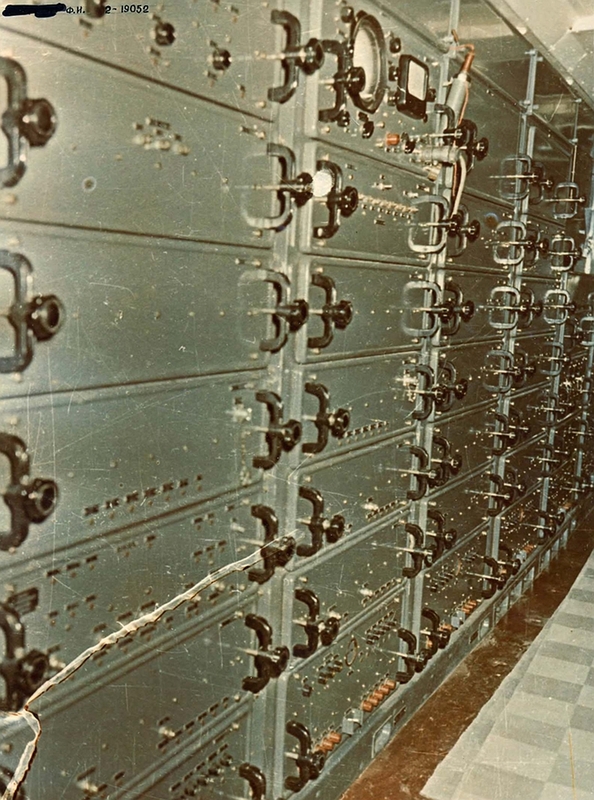 A typical early model S-200 battery comprised a single 5N62 Square Pair engagement radar, and six 5P72 launchers, each supported by a pair of 5Yu24 rail transloaders. This provided for six ready rounds on launch rails, and up to twelve reloads on rail transloaders being fuelled and prepared. 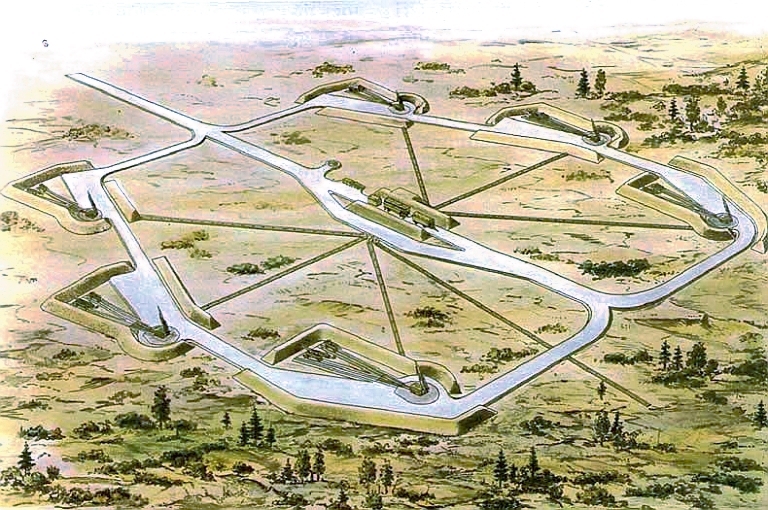 Initially, revetted installations with earth berms were used, but the vulnerability of such revetted sites used with the S-75 / SA-2 observed in Vietnam and the Middle East led to more aggressive measures, with the transloaders located in bunkers, shelters or tunnels, and revetments clad with concrete. By modern standards the mobility of an S-200 battery is poor. All components of the battery were either integrated into towed OdAZ-828 series semitrailer vans, or carried on a flatbed semi-trailer. Cranes are required to load and unload most equipment, including the 5Yu24 transloaders and 5P72 launchers. 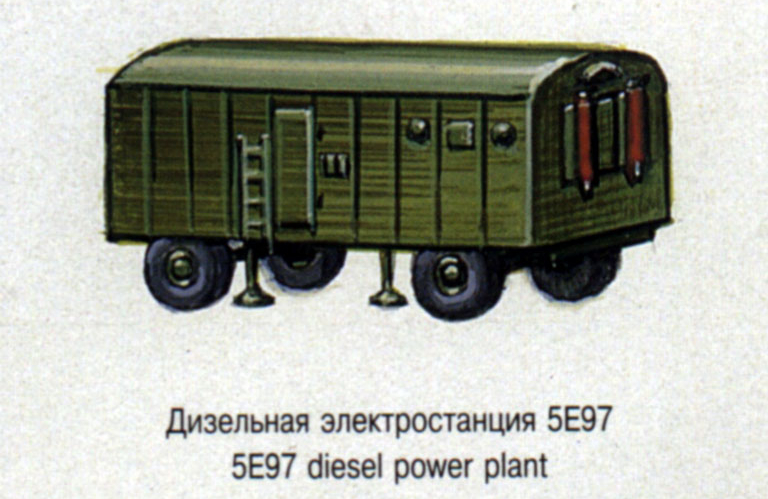 A typical battery would include eighteen or more assigned tow tractors, usually KrAZ-255 in earlier variants, and KrAZ-260B in later variants. Iran employs imported Italian IVECO tractors for this purpose. 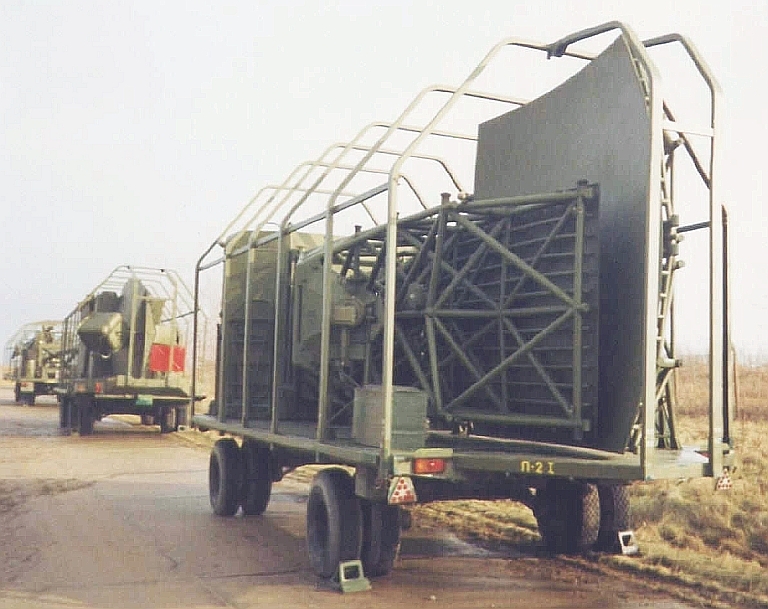 Later variants also used the towed 5Yu24M/5T83 transloader/transporter semi-trailer which offered more flexibility as it could directly load the launchers, supplanting the cumbersome rail mobile 5Yu24. This permitted operations from sites without elaborate concrete pads and rails. 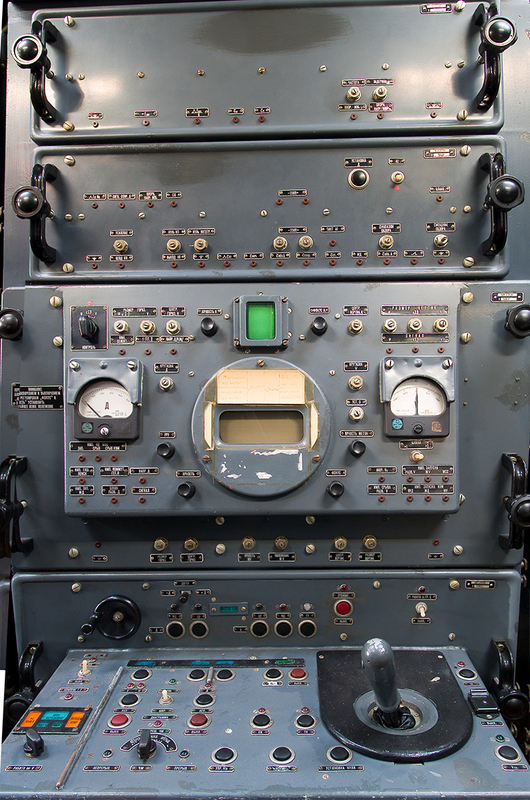 Often later variants also employed a pair of 5N62 Square Pair radars to double the number of concurrent engagements. Frequently the Square Pair was located on elevated terrain, although in Czechoslovakia the radars were often deployed on large reinforced concrete platforms, accessible via a large ramp. A revetted and recessed 5P72 launcher. Note the rails for the 5Yu24 transloaders. 5P72VE launcher in recessed placement. The 5P72 launcher is carried by 5T82 Transporter/Loader semitrailer, this example towed by a late model KrAZ-260 (via www.s-200.de). 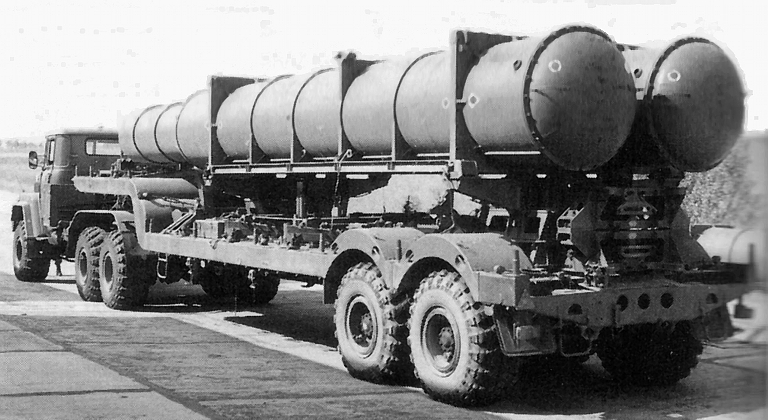 The cumbersome 5Yu24 rail loader was used to transfer the missile from the 5T53 transporter to the 5P72 launcher. It also is carried by 5T82 semitrailer (above and below)(via www.s-200.de). The late model 5Yu24M Transporter/Loader semitrailer, this example towed by a KrAZ-260. This design permits the missile to be directly loaded on to the 5P72 launcher. 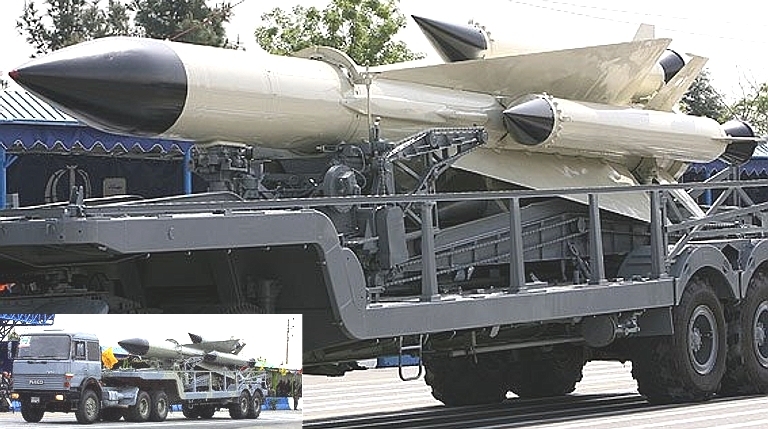 Iranian 5Yu24M transporter/transloader carrying a 5V28 round. The Kraz-260 is replaced by an imported Italian built Iveco 6 x 6 tractor. 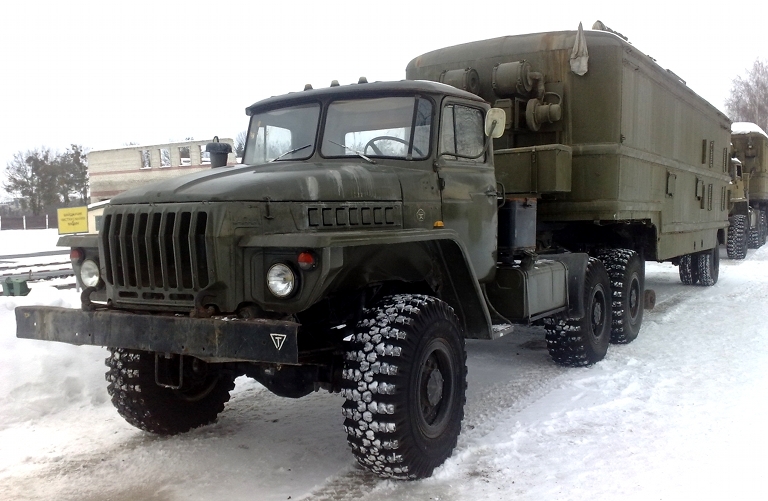 An early model 5T83 Transporter/Loader, towed by a KrAZ-255 (Vestnik PVO). A late model 5T53M missile reload transporter and KrAZ-260 tractor, operated by the NVA (Vestnik PVO). Like most battery support vans used in the S-200 system, the K-9 series Battery Command Post van was built into the widely used OdAZ-828 semi-trailer van. This example is equipped with an air conditioning system (via Avtobazar.ua). 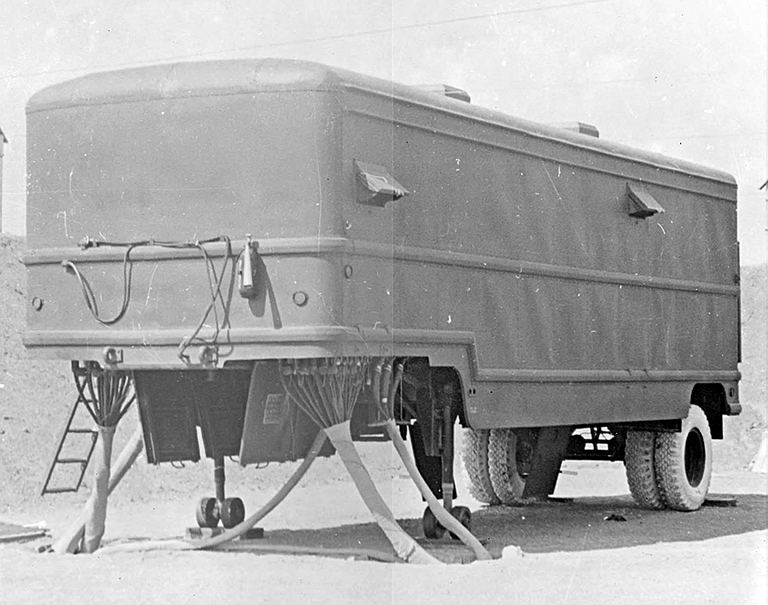 Early model S-200A Angara K-9 Battery Command Post van. 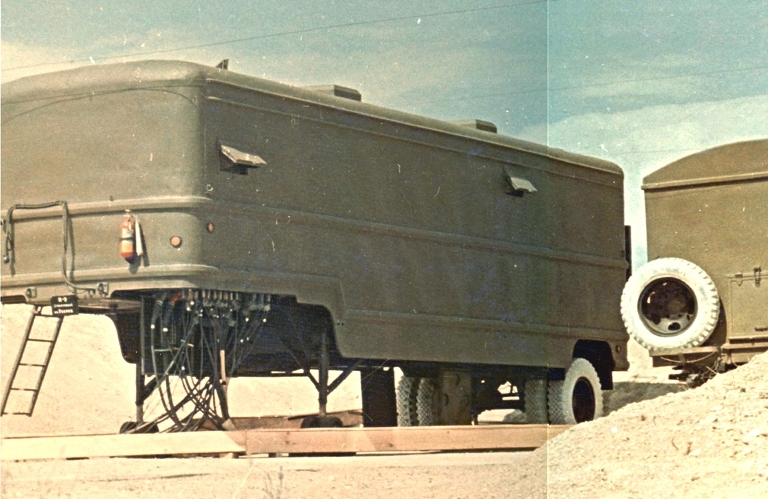 Note the multiple cable harness connectors at the lower front of the van, and buried fixed site cable tunnels (Almaz brochure via Free SAM Simulator). 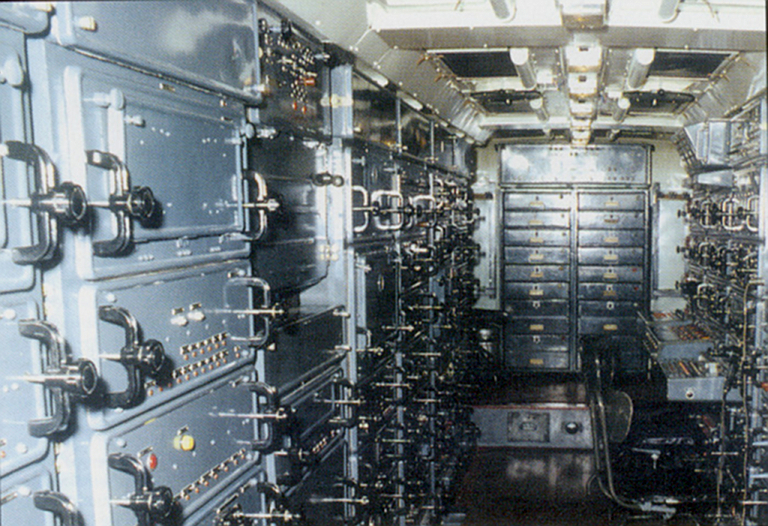 Each S-200VE battery employs a single K-9 Battery Command Post van, which was used to control all components of the battery. 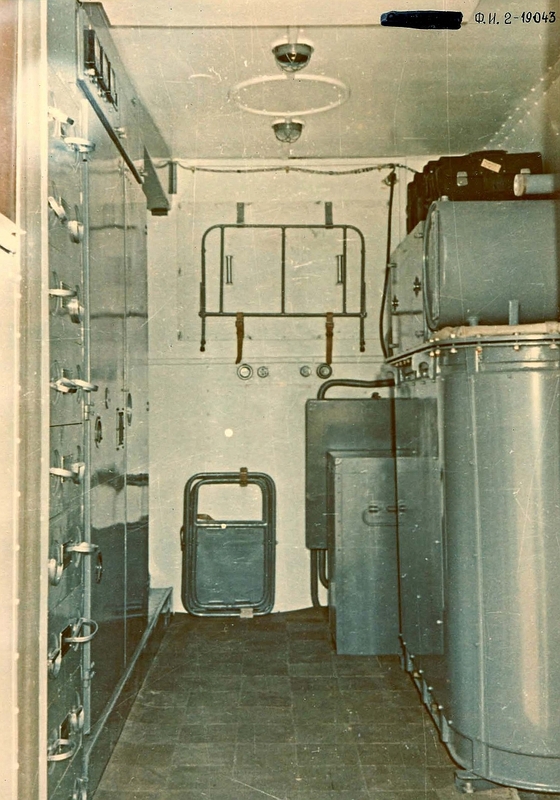 This van contained consoles and interface electronics to monitor inputs from the P-14 Tall King C acquisition radar, the PRV-17 Odd Pair heightfinding radar, and external IADS command posts such as the 5S99 Senezh series. 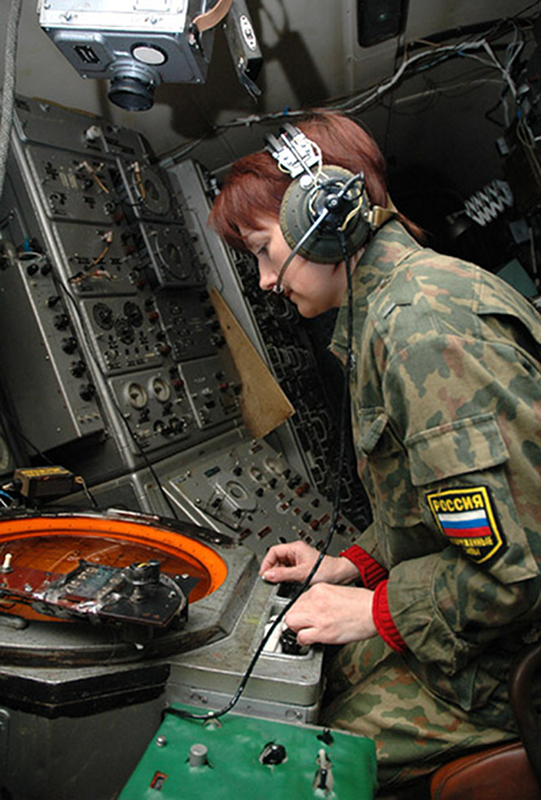 It is interfaced to one or two K-2V Fire Control Centre vans, each of which controls the 5N62V Square Pair FMCW engagement radar, and the K-3 Launch Control Centre (Russian Internet via www.s200-wega.de). 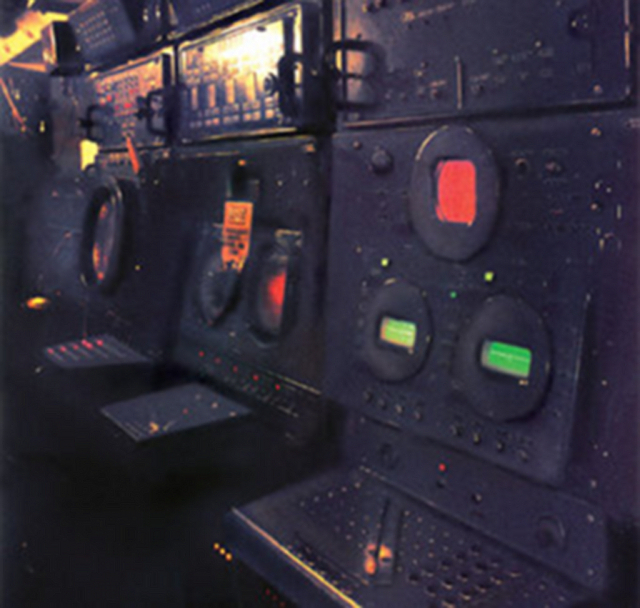 Above, below: Early model S-200A Angara K-9 Battery Command Post van interior (Almaz brochure via Free SAM Simulator). 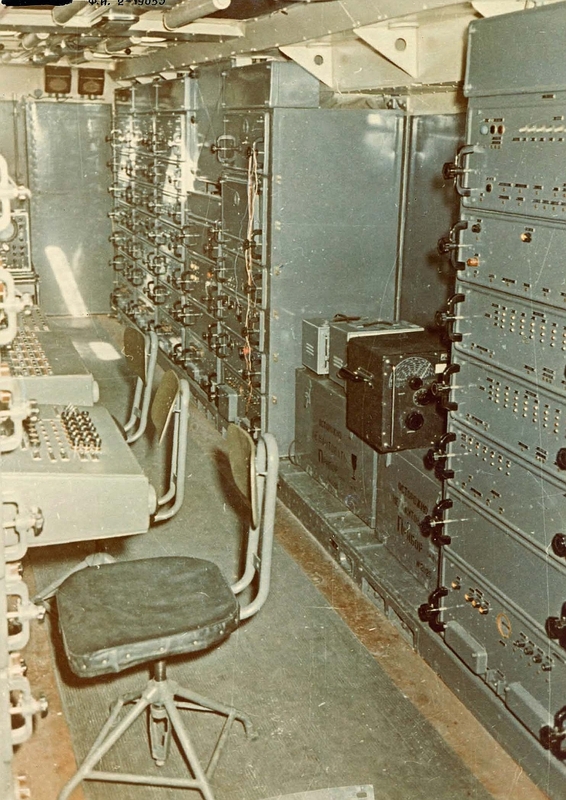 Early model S-200A Angara K-3 Launch Control Centre van. Note the multiple cable harness connectors at the lower front of the van, and above ground rectangular cable ducting (Almaz brochure via Free SAM Simulator). The K-3 series Launch Control centre van was also built into the widely used OdAZ-828 semi-trailer van. 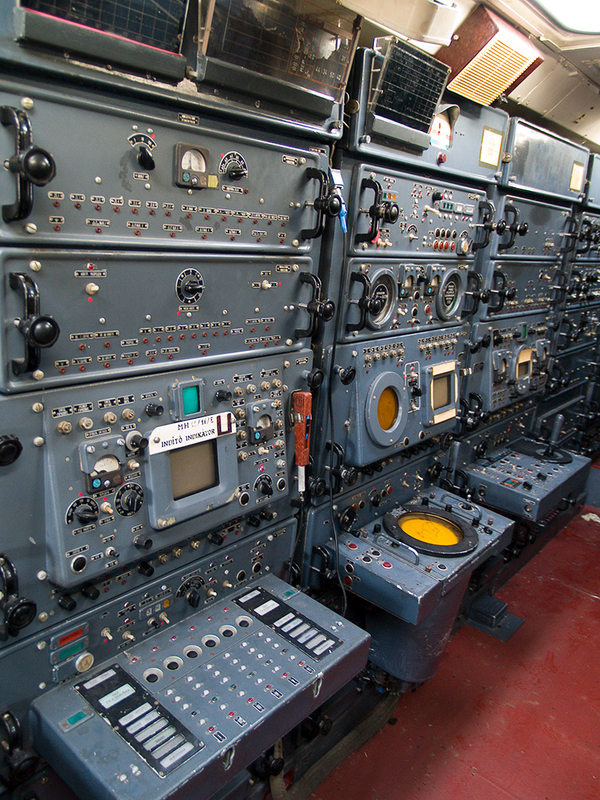 The K-3 was used to control the missile launchers, perform missile prelaunch checks, and effect missile launches. 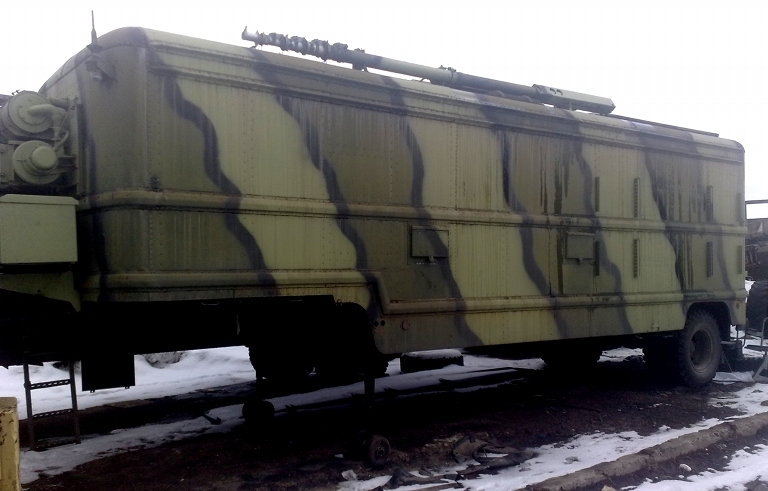 The depicted van is likely a former 5S99 Senezh series command post van (via Avtobazar.ua). K-3 series LCC van interior (Russian Internet via www.s200-wega.de). 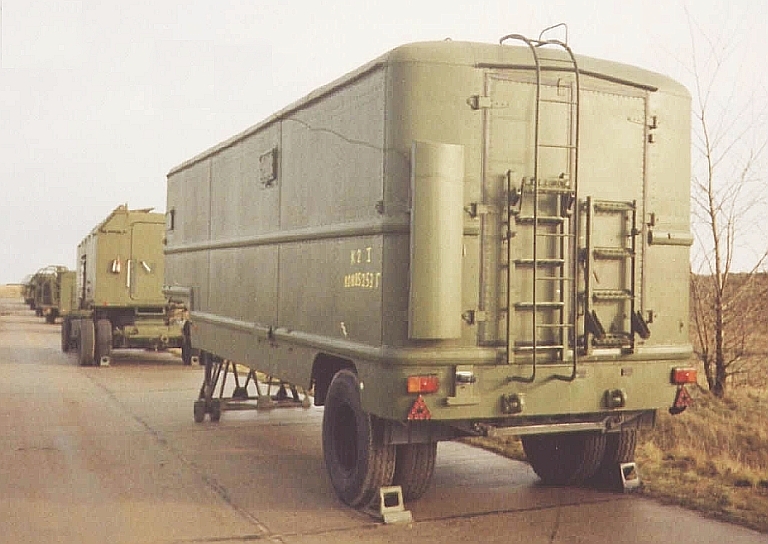 The S-200/SA-5 series followed the battery structure model introduced with the S-75/SA-2, but the greater complexity of the larger and newer S-200/SA-5 saw the use of wholly dedicated LCC vans, each of which was employed to manage and launch from up to six 5P72 series single rail launchers. As the liquid propellant propulsion and onboard power systems of the 5V21A/V/5V28 require careful management, these functions were performed from the K-3 series vans. These operators would train and elevate the launchers, perform prelaunch missile checkout, and then step through the complex launch sequence, which included missile systems checks, onboard turbine power system runup, and finally sustainer engine ignition and runup. The solid rocket boosters were ignited as the last step in the launch sequence, at which point an abort could no longer be effected. 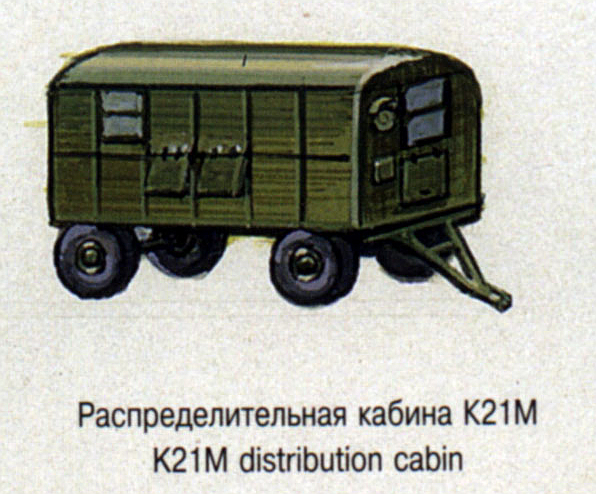 K-3 series LCC van crew (Russian Internet via www.s200-wega.de). 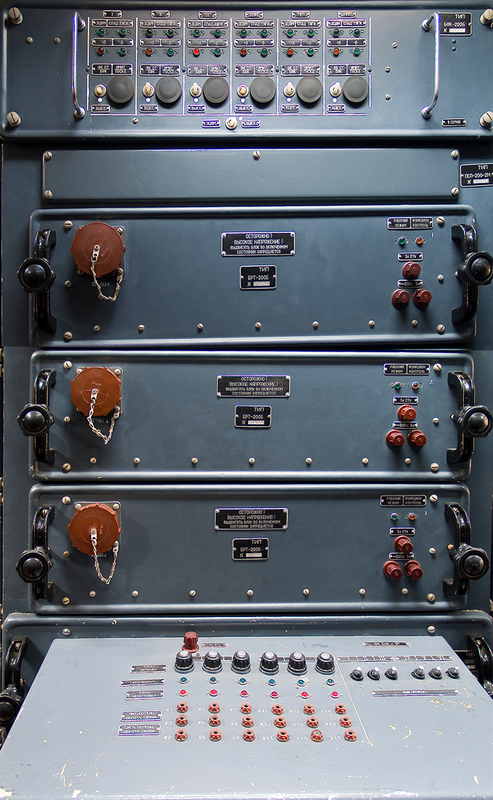 Above, below: K-3 series LCC missile control and status panels, used for up to six 5P72 series single rail launchers (© 2010, Free SAM Simulator, posted with permission). Above, below: Early model S-200A Angara K-3 Launch Control Centre van interior (Almaz brochure via Free SAM Simulator). The K-2 Fire Control Centre van trailer (foreground) and K-1 van trailer (background). 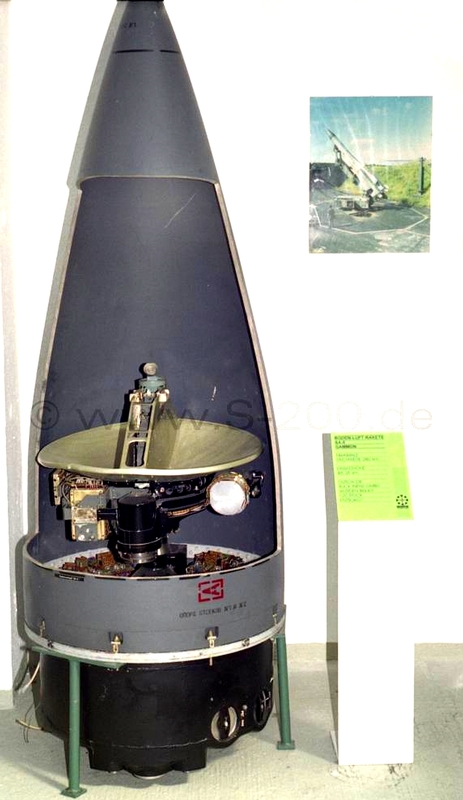 The K-2 was closely coupled to the K-1 radar head van and housed the key fire control components (via www.s-200.de). K-2 series Fire Control Centre van crew stations (© 2010, Free SAM Simulator, posted with permission). The K-2 series Fire Control Centre van would qualify in part, under Western nomenclature, as a fire control van, and in part, as a radar control and management van for the 5N62 Square Pair. The 5N62 Square Pair is used to acquire the target, perform fine tracking, and provide FMCW illumination for the semi-active homing missile seekers. 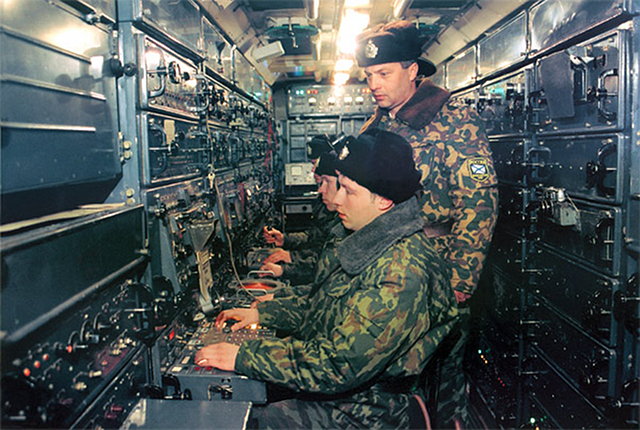 The K-2 van houses all of the radar consoles, but also houses the Plamya fire control computer which performs pre-launch and post launch missile trajectory calculations. 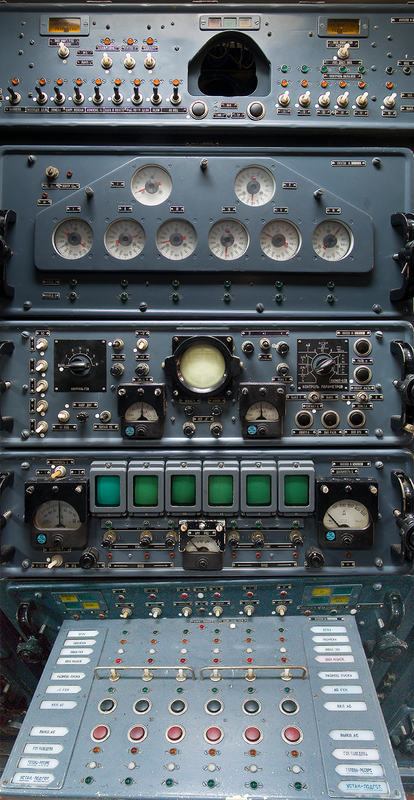 Missile telemetry and command link functions are all controlled from the K-2 van. K-2 series Fire Control Centre van crew (Russian Internet via www.s200-wega.de). 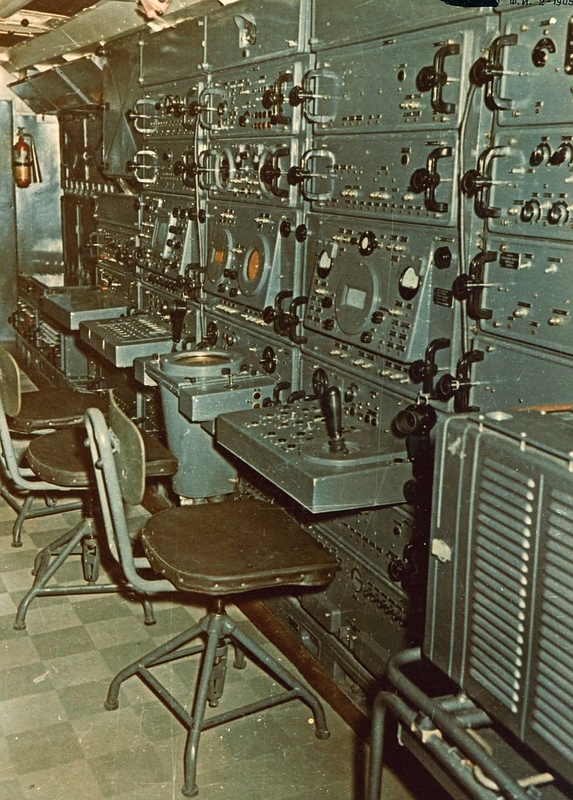 K-2 Fire Control station console (© 2010, Free SAM Simulator, posted with permission). 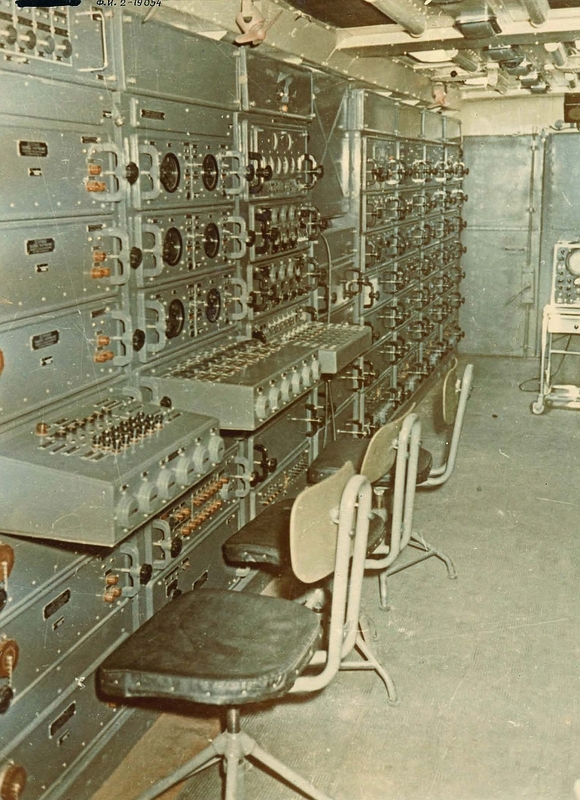 K-2 target acquisition station console. The operator uses video from the Tall King, Odd Pair and IADS track data to acquire the target using the FMCW 5N62 Square Pair (© 2010, Free SAM Simulator, posted with permission). 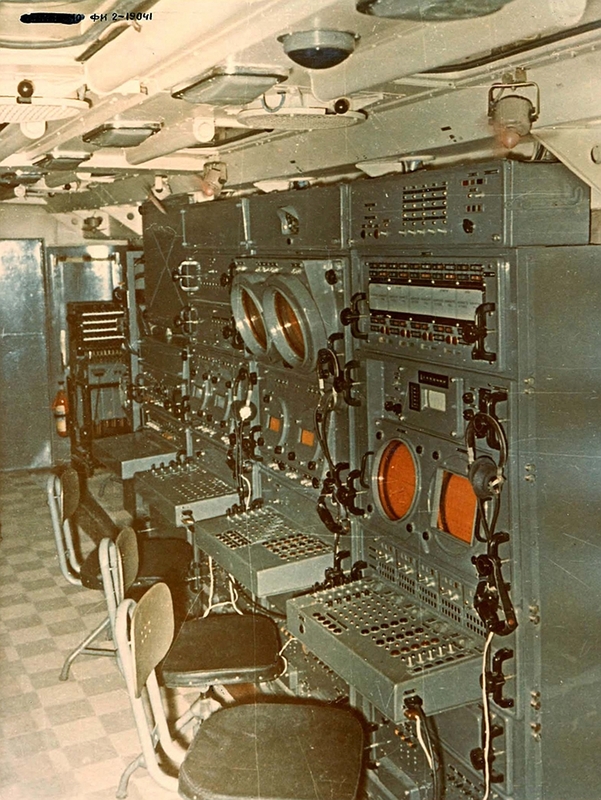 K-2 target tracking and illumination station console. The operator maintains a fine track of the target using the 5N62 Square Pair FMCW waveform, in a number of possible modes. CW illumination was fixed frequency and without range tracking (© 2010, Free SAM Simulator, posted with permission). Above, below: K-2 van Plamya KV fire control computer (© 2010, Free SAM Simulator, posted with permission). Above, below: Early model S-200A Angara K-2 Fire Control Centre van interior (Almaz brochure via Free SAM Simulator). Semi-mobile configuration of the improved K-1M van with 5N62 Square Pair FMCW tracker/illuminator on display at Kecel in Hungary. Note the Square Pair at maximum elevation angle in the background (Image © Miroslav Gyűrösi). 5N62 Square Pair antenna stowed for transport (via www.s-200.de). 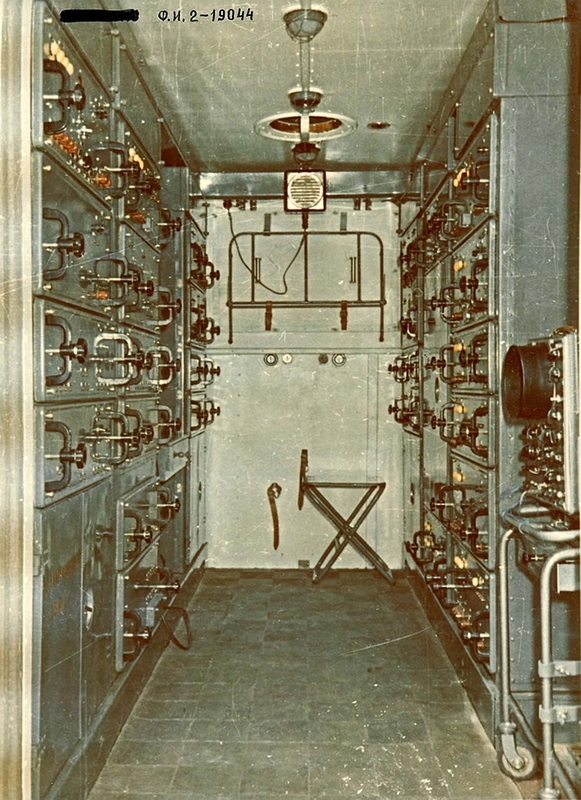 Above, below: Early model S-200A Angara 5N62 Square Pair K-1 radar head van interior (Almaz brochure via Free SAM Simulator). 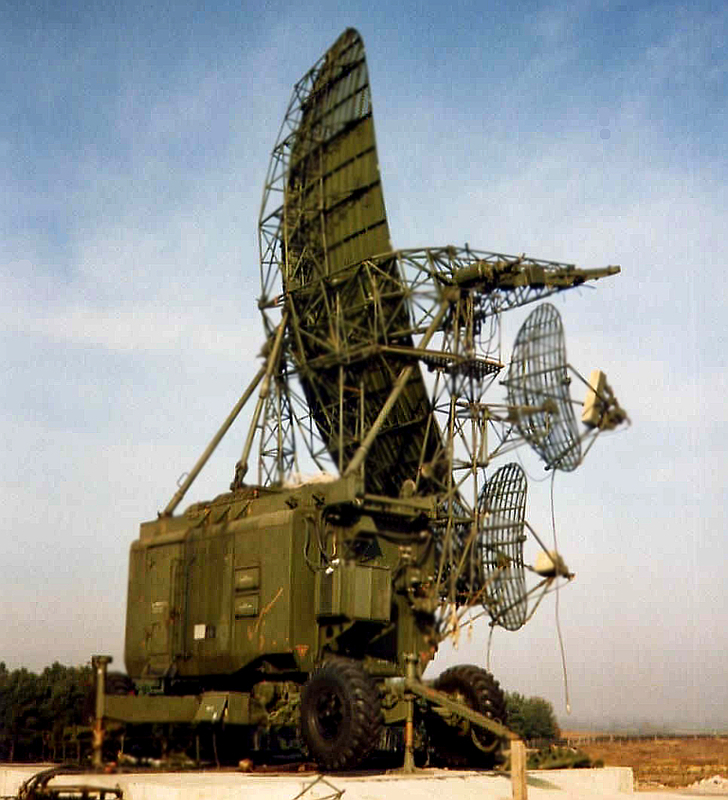 The large VHF-band Tall King C was used as the primary acquisition element for the S-200VE battery. 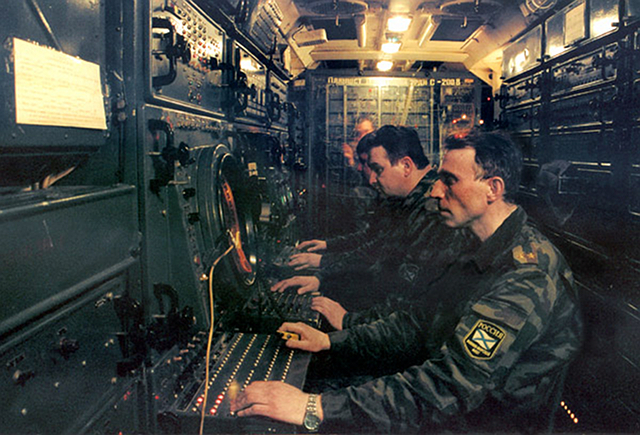 It produced target azimuth and range tracks for the K-9 Battery Command Post systems (Russian Internet via www.s200-wega.de). Miscellaneous original imagery of S-200VE van interiors provided by the Free SAM Simulator project, produced using an Olympus E-300. Almaz S-200A Angara technical brochure, undated circa 1970, 22 pages.